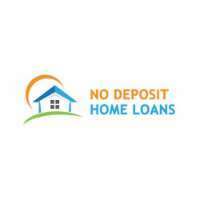 No deposit home loans has access to a unique loan strategy that allows you to borrow the deposit and finishing costs related to purchasing a property. Achieve The Life and Home You deserve Apply Now! Welcome to No Deposit Home Loans! No Deposit Home Loans provides a unique comprehensive loan strategy that allows you to get into the property market right now without having deal with the long and difficult task of saving for your home deposit. Our strategy is perfectly suited to borrowers that have little or no deposit that are looking to get in to the property market. As a trusted Home Deposit Loan in Queensland, No deposit home loans has been in the finance industry for a long time. Also, we have refined our offering to our clients that allows us to implement our strategy so that it is a streamline process from initial enquiry all the way to settlement. Our Mission is to provide our clients with the opportunity to become a property owner sooner, giving them a start on their property journey and getting them out of the dead end rental cycle. Why No Deposit Home Loans? • We determine what your purchase costs are going to be for your desired property this includes your deposit, stamp duty, and legal costs. • We provide you with a loan strategy report which includes your unique step by step plan which also includes your likely repayment amount, interest rate, and our estimation of your likelihood of approval. • We organise and submit your application on your behalf; No Deposit Home Loans then manage your application all the way through to settlement. Looking for information on getting a No Deposit Home Loan? To help you decide if it’s the right option, contact us or visit No Deposit Home Loans at Burleigh Heads, Queensland today! No deposit home loans has access to a unique loan strategy that facilitates you to buy a new home at Queensland such as Brisbane, Townsville, and more. Contact No deposit home loans now!